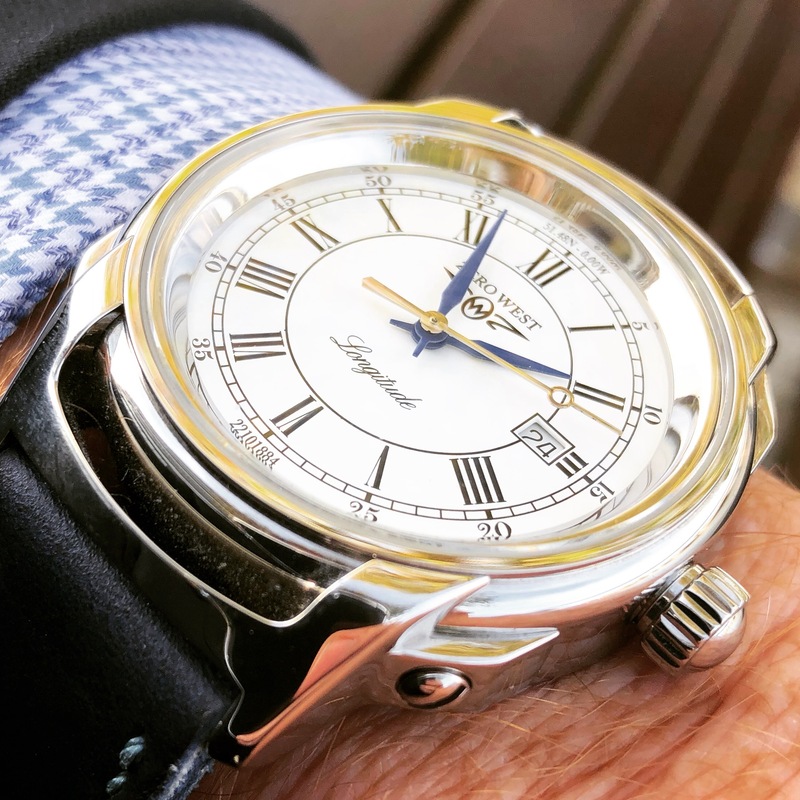 A couple of weeks ago I received an invitation to an event presenting the Meerson Mutiny watch, unfortunately as regularly happens a “day job” commitment meant I was unable to attend. Meerson is special brand for for me. Firstly because it made me question whether I should count them as a British watch brand. 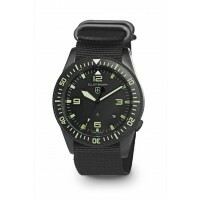 Then because they were generous enough to lend me a watch for my first review, the black Altitude Officier. Finally, they are really nice people. The purpose of the September ( well it seemed like a few weeks ago) event, was to show two additions to the Mutiny range for 2019. 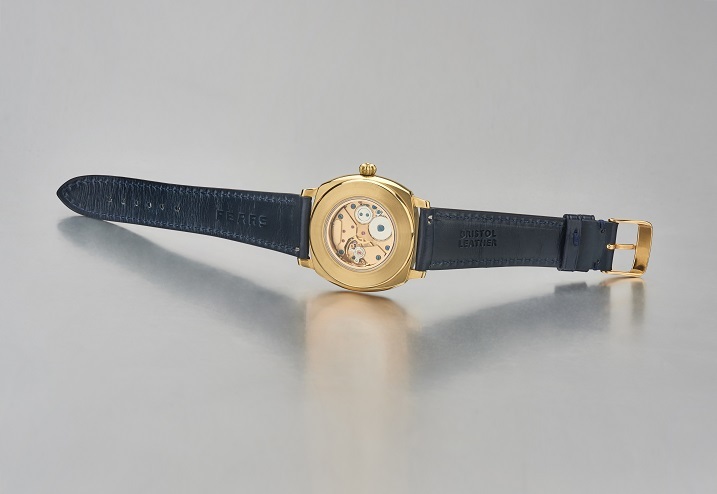 The first sports a leather lined, dark jean strap and a complimentary light blue dial. Light brown appliques and strap stitching, alongside the steel case completes the colour palette. The second, nicknamed the ‘Surfside’, was orginally crafted as very special bespoke piece for a client. A keen kite-surfer and lover of all things aquatic, she wanted a watch that paid tribute to her life’s passion. The end result was stunning, a two tone dial that changes colour depending on the angle it is viewed at. 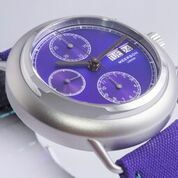 The watch face glis- tens as it turns from Turquoise to deep purple, and back again. These shades extend from the dial on to the fabric strap. Meerson watches are beautifully built and completely off most peoples radar, watches for people that enjoy fine objects – subtly. Some of you might have seen this teaser shot I posted on Instagram a little while ago. Well now the facts are public, there is a second Brunswick version, the Midas. This watch has been officially launched at today’s Watchmakers Club event in London. Unfortunately for practical reasons I was unable to attend so I am really looking forward to hear what the reaction has been. 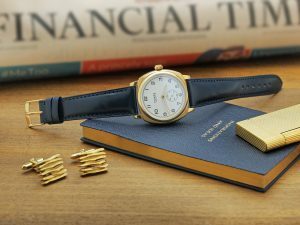 The prototype Nicholas Bowman-Scargill showed me look really nice, the cushion shaped case makes a perfect “gold watch”. 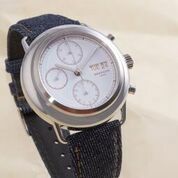 I am really looking forward to see what this young brand comes up with next – a chronograph maybe ? I first came across Zero West on Instagram. 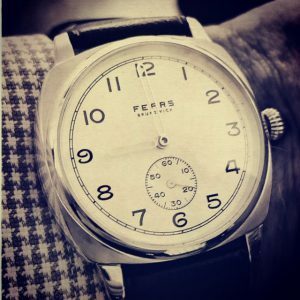 Posts promising watches with links to many things I like to read about, fast boats, Spitfires and café racers. The final detail that tweaked my interest was the fact this company was based in an old boat house in Emsworth, Hampshire – an important place in the youth of yours truly. We exchanged some messages, Zero West promising to tell me more about their project when they were ready. After several more intriguing Instagram postings the moment arrived; Andrew, one of the founders, was going to be in London and suggested we meet so he could tell me about their watches. The story starts in much the way many of these do, two friends , Andrew and Graham, a common interest, unlike many of these conversations they actually started a company. Their advantage being Graham is an engineer and Andrew a designer, the ideal combination of complimentary skills. At our meeting I was surprised when Andrew brought out not just not just one watch but several. I say several as Andrew has asked me not to discuss the whole collection, I think though I can safely they cover many of the themes outlined above. 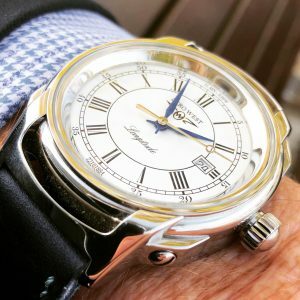 So I will stick to the watch in hand, the first to market the Longitude, which if everything goes to plan goes on sale next week. My first impression strapping the watch to my wrist was gosh, this is a big watch, at 44mm it equals the Schofield I reviewed earlier this year. For some reason though the case design makes it feel bigger. Then bringing the watch to my ear – almost silence, you barely hear a tick or the sound of the automatic movement through the hefty case. The polished case is of an interesting construction in that the lugs are mounted by two screws to each side. It is certainly not a watch that goes unobserved. This first of all put me off a little as I was wondering when I might fell comfortable wearing something so large and visible. 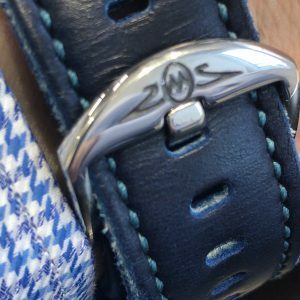 After a few days through I started to feel much more comfortable finding that the watch works really well with my predominantly blue office wardrobe, thanks to the heavy blue leather strap. The straps are also made by Zero West, after approaching several suppliers Graham decided he could make them himself, and a beautiful job he does to. My only criticism being a lightly large keeper. 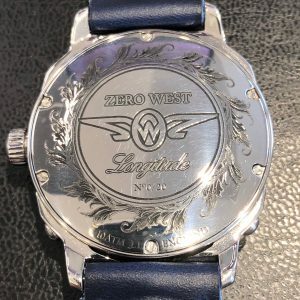 The gentlemen from Zero West explained that the design of this watch was inspired by the H4 of the British horological innovator John Harrison. Clearly it is not a straight replica. The black and white dial uses the same roman numerals and blue enameled hands. 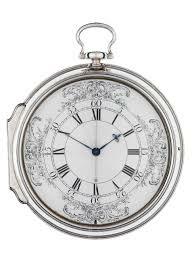 The floral decoration around the original dial have instead been replicated on the case back. In addition the dial features the date 22/10/1884 under the number six, this being the date of the International Meridian Conference in Washington. during which Greenwich Meridian was recognised as the international standard for longitude. Then above the twelve you will find the longitude and latitude for the Greenwich Meridian. So in conclusion this is a very bold individual first watch that is very different to most of the watches on the market today. As mentioned earlier there are several more similarly distinctive models ready to follow this. Best of luck to Zero West.